After undergoing multiple surgeries and missing tournnament following birth of her child, Serena is one victory away from the championship. Last year at this time, Serena Williams was fighting the complications from the birth of her daughter, Alexis Olympia. After she defeated Anastasija Sevastova in the semifinals Thursday, the emotions of her far greater battle came out. 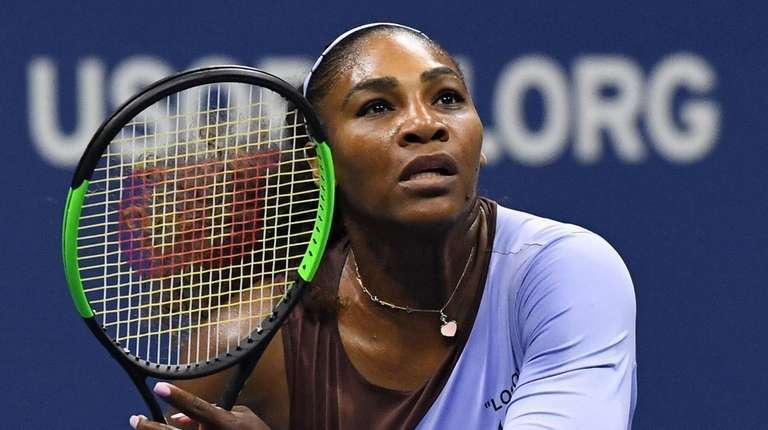 Having survived her life-threatening situation, having wondered if she still could have a tennis career, Williams has one more match to go to win her seventh U.S. Open title. That would be Saturday against Naomi Osaka. Osaka, 20, is at the beginning of her climb, and there are expectations that it can be a long ascent. She beat Williams in Miami in March, when Williams was returning from her maternity leave, and that was a week after Osaka won at Indian Wells. For Osaka, it seems totally different now. After she lost in Cincinnati three weeks ago, her third straight defeat, she had her emotional moment in the locker room. Beating her idol in Miami was one thing. Getting to face her in the Open final is the ultimate dream. Sascha Bajin is Osaka’s coach and a former longtime hitting partner of Williams. Though Osaka’s power approaches that of Williams, he sees differences. Both, no doubt, are dreaming.